Taste of Melbourne in partnership with Electrolux is a stunning celebration of Melbourne’s unique and progressive dining scene. Over four indulgent days the city’s latest, greatest and hottest restaurants will each fashion together 3-4 exquisite signature dishes in ‘taste’ sized portions, allowing you to create your dream tasting menu at the ultimate restaurant festival. Choose dishes from restaurants including Circa, The Prince, Luxembourg, MoVida, Pei Modern, Royal Mail Hotel, Supernormal and many more. 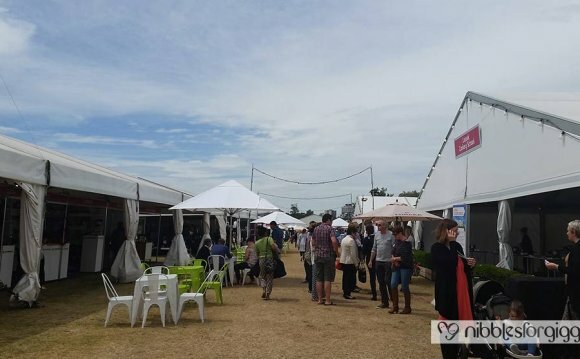 Mingle with award-winning chefs and like-minded foodies as you browse through hand-picked premium food and drink producers, take part in one of the many interactive foodie attractions or simply relax and enjoy live entertainment in the beautiful lakeside surrounds of Albert Park. Taste of Melbourne in partnership with Electrolux operates much like a restaurant with lunch and dinner services. There are 6 sessions running over the 4 days, each lasting between 4 – 5 hours (session dependent) to give you time to enjoy your pick of 50 restaurant dishes, browse the artisan producer stalls and enjoy the many culinary attractions. Tickets are valid for one session only, click here to pick the session of your choice! With delicious bites, interactive attractions and your own private suite in which to relax and enjoy the festival atmosphere, Taste of Melbourne is the perfect way to treat colleagues and clients to a company day out. Our luxurious private or shared enclosures are ideal for wining and dining your guests. Book your corporate hospitality package today to take advantage of this unique experience.